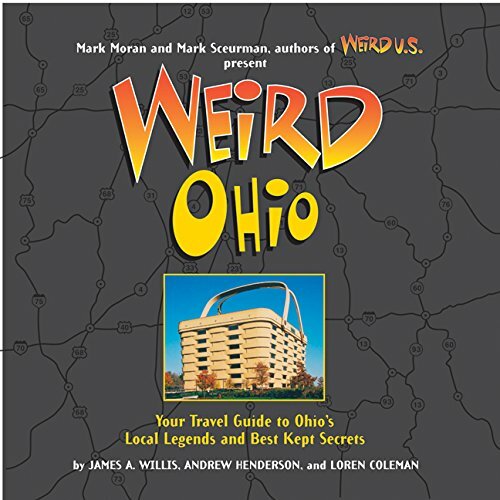 Nestled among office buildings and traffic lights is a fun Ohio roadside attraction that will have you staring in awe and leave you scratching your head at the same time! Welcome to the Dublin Ohio Corn Statues – or Cornhenge in Ohio as it has been lovingly nicknamed by locals. 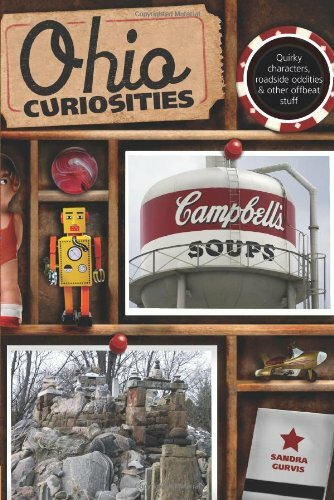 Keep reading to learn more about visiting this quirky public art display located just a short drive from Columbus. Much to Kevin’s dismay, I adore roadside attractions – the weirder the better! So when I heard about the Field of Corn, a city park that is filled with a concrete cornfield in Dublin Ohio, I had to drag the family up to Columbus for a visit. And I have to say – I was not disappointed. You can’t get much weirder than a giant field filled with 109 ears of concrete corn that are taller than you are! So what is a field of giant concrete ears of corn doing in the middle of an affluent Columbus suburb? In 1994, Ohio State University Professor Malcolm Cochran was chosen by the Dublin Arts Council to develop a public work of art in a small Dublin City park. That city park was once farmland owned by Sam Frantz, who worked with Ohio State University and was instrumental in developing several strains of hybridized corn. To honor Frantz’s work as well as Ohio’s rich agricultural heritage, sculptor Malcolm Cochran decided to fill the park with 109 concrete corn statues standing in rows. The concrete corn field in Dublin Ohio is bordered by a line of osage orange trees, which the artist left as a living link to the farm that once thrived on the site. The corn statues were all cast from white architectural concrete. Each ear of corn stands over 6 feet tall and weighs 1500 pounds. Field of Corn (with Osage Oranges) was officially dedicated in October of 1994. For more information about Field of Corn in Dublin Ohio, visit the Dublin Arts Council website. It’s kind of surreal when you first spy the Field of Corn in Dublin, Ohio. It looks strangely out of place among all the office buildings, businesses, and trappings of suburbia. The white corn statues are lined up in neat rows that vaguely reminded me of a military cemetery. You almost feel like you should be silent and reverent when visiting Cornhenge in Ohio. Then my kids hopped out of the car and took off running, laughing as they wove their way in and out between the ginormous ears of corns. I quickly dismissed all thoughts of being reverent and joined in their fun. We spent a fair amount of time exploring and snapping selfies with the corn sculptures. I mean, it’s not every day that you come across larger than life ears of corn made of concrete! If you enjoy geocaching or letterboxing, there are one of each at the Field of Corn in Dublin Ohio. So of course we had to find both. We found the letterbox fairly quickly, but the geocache was a puzzle cache so it took a bit more work. Make sure you take the time to read the bronze historical markers to learn more about the history of the area and the importance corn played. Want to visit? The Field of Corn in Dublin Ohio is just a short drive from Columbus. Directions: Take I-270 to the Tuttle Crossing Blvd exit. Drive east for about a half a mile, then turn left on Frantz Road. After about a half mile, Field of Corn (with Osage Oranges) will be on your left, at the intersection of Frantz Road and Rings Road. If you enjoy letterboxing, the Dublin Ohio Riverboxes are a fun way to explore the area parks. If you enjoy roadside attractions, check out the Giant Dancing Hares in Dublin, the Leatherlips Sculpture in Scioto Park, and the World’s Largest Gavel in downtown Columbus. If you enjoy Old World charm, the German Village in Columbus is a great place to get a bite to eat or do some shopping. If you enjoy history, the Ohio History Center and Ohio Village would be a great place to spend an afternoon. If you are visiting Columbus with kids, then you might want to plan a visit to COSI or the Columbus Zoo. Planning a visit to Cornhenge in Ohio? Be sure to check out our posts on fun things to do in Dublin Ohio before you go. Have you ever visited the Dublin Ohio corn statues? 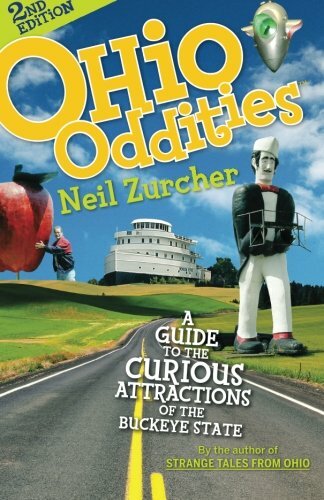 What are your other favorite Ohio roadside attractions? Be sure to leave a comment below, we would love to hear from you. Happy exploring!